Who am I? It's a question we all ask ourselves at some point. Depending on the season we focus our identity on our job performance, marital status, personality type, or social network, among other options. However, there's a larger question to consider. Who does the Bible tell me I am in Christ? 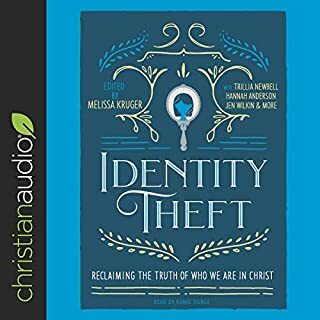 From the wisdom and perspective of insightful authors, we'll seek to answer this question by: exposing our false notions of identity; understanding the biblical truth of our identity in Christ; and reflecting on what it looks like to live in our new (and true) identity. Feeling worn thin? Come find rest. The Blue Ridge Parkway meanders through miles of rolling Virginia mountains. It's a route made famous by natural beauty and the simple rhythms of rural life. And it's in this setting that Hannah Anderson began her exploration of what it means to pursue a life of peace and humility. Fighting back her own sense of restlessness and anxiety, she finds herself immersed in the world outside, discovering a classroom full of forsythia, milkweed, and a failed herb garden. Grocery shopping. Soccer practice. Dirty dishes. Motherhood is tough, and it often feels like the to-do list just gets longer and longer every day - making it hard to experience true joy in God, our children, and the gospel. 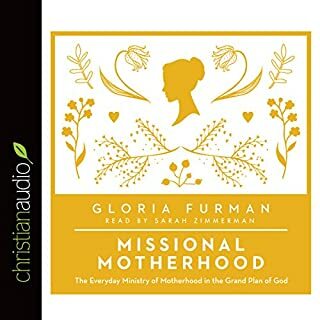 In this encouraging book for frazzled moms, Gloria Furman helps us reorient our vision of motherhood around what the Bible teaches. Your God is too small. We like God small. We prefer a God who is safe, domesticated, who thinks like we think, likes what we like, and whom we can manage, predict, and control. A small God is convenient. Practical. Manageable. The truth: God is big. Bigger than big. Bigger than all the words we use to say big. Ironically, many today seem turned off by the concept of an awesome, terrifyingly great God. We assume that a God you would need to fear is guilty of some kind of fault. For us, thinking of God as so infinitely greater and wiser than we are and who would cause us to tremble in his presence is a leftover relic. History tells of women whose love for the Bible shaped its earliest and most prominent teachers. It tells of women who were great theologians in their own right, yet whose only students were their own children. It tells, time and time again, of Christian men who owe so much to their godly mothers. Raising children to honor and glorify the Lord is the goal of every Christian mother, but how can you do that? Who can teach you? One of the best ways to learn is to read or listen to examples of women who have succeeded at the very task you are attempting. Come and listen to some of them. Human beings were created to reflect the image of God - but only to a limited extent. Although we share important attributes with God (love, mercy, compassion, etc. ), there are other qualities that only God possesses, such as unlimited power, knowledge, and authority. At the root of all sin is our rebellious desire to be like God in such ways - a desire that first manifested itself in the Garden of Eden. 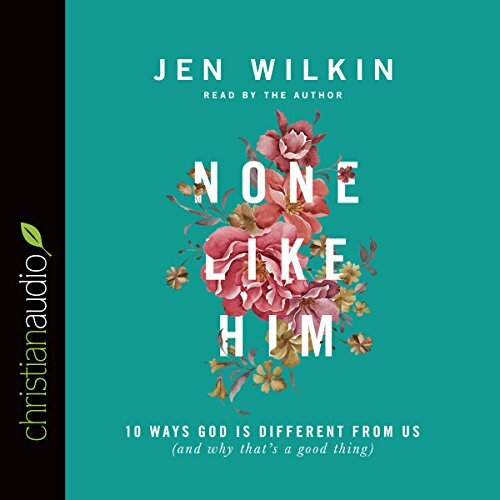 In None Like Him, Jen Wilkin leads us on a journey to discover 10 ways God is different from us - and why that's a good thing. In the process she highlights the joy of seeing our limited selves in relation to a limitless God and how such a realization frees us from striving to be more than we were created to be. What a beautifully read book! There is so much depth and wisdom that I'm sure I will listen to it many more times. The author does an exceptional job of making a complex subject understandable. It was enlightening! This book was recommended by a female friend from church. At first glance, I likened her book recommendation, “None Like Him”, to that of offering up a movie night of “Bridges of Madison County” to a Pirate. Never one to forego an opportunity to learn something new, however, I channeled my fatherhood dives into makeup and dress-up night with my daughters and blocked some time to give it a listen with an open heart. Four hours later, I sat in silence. Trying to grasp the awesomeness of what I had just taken in. Like being drawn graciously out of cold incompetence and gently guided into the warm light of awareness. I felt at peace, and yet ever smaller by comparison to our Lord. By the end, I was no longer a pirate, but a little boy with a wooden sword. Great Book. I couldn't stop listening! I love this book because it took an in depth view of the Characteristics of God. I learned so much about him through this resource. I think we can only view ourselves and the world around us through an accurate view of God. if you do not have the time to go completely through Stephen Charnock's discourse on the attributes of God or find it to be a bit too technical then this book would be a healthy medium for you. 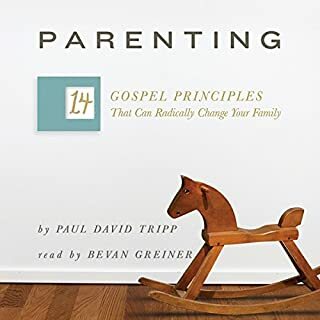 If you would have told me 25 years ago that I would listen to a book targeted to women about God, I probably would have punched you in the mouth. Not really, I don't really punch people in the mouth but I would have questioned your sanity. But here I am and here you are and neither of us have pain so a lot has changed in 25 years. I came to this book while listening to another book about how Christians are supposed to act in the age of the internet. I was immediately drawn in by Jen Wilkin. I first liked her style of narration. Then I really got into the words. This book is about God, the largest, deepest, and least understood topic in the universe. Even with all that has been written, spoken, and understood about God, how to you describe the limitless? 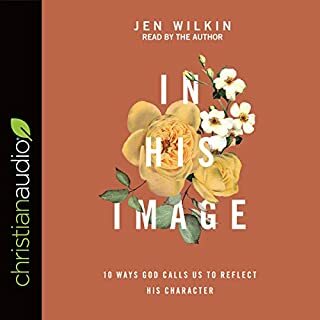 While not exhaustive, Jen does an amazing job to describe what we do know about God from his own revelation and to compare us who are no comparison to not only bring us to a Godly fear, as the start of wisdom, to to be comforted that God is God no matter what happens as he is not changed by time, space, or bribe. You don't need to be seeking how to be a godly woman to listen to this book. 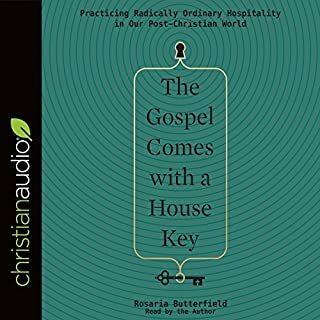 While written to that audience, the subject and manner of which it is talked about makes this a must-listen book to anyone who wants to know God, know that you are not God, and why this is not only a good thing but the most important thing in our existence. Loved this book! So much knowledge and insight while still being approachable and easy to listen to. Will be one I recommend to friends and will listen to again! Stop in my tracks to take in the wisdom. I am part of a texting book club that reads Christian books. This book is appealing to all of our group; men, women, 30 somes and retired folks. Beautiful insights into our measurable lives and the infinite of God. It is a relief to read this book and stop my brain from blaming God for all the measurable problems that we have created. I take time to stop and see the immeasurable wonder of what God has created and then slip myself back into the picture and endeavor to make better and wiser choices and actions. 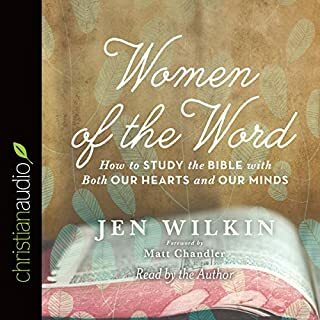 Jen Wilkin has written an amazing book on the attributes of God. I am currently going through this book for a second time. This book is written to women, but it is for everyone. This book is amazing and it leads me into worship every chapter. I am currently leading a small group of men through this book, and they are drawing deeper into their understanding of who God is. I highly recommend this book for anyone who is interested in seeing the God of the bible in all his splendor and glory. When I picked up this book I did not know what I would be getting into. I knew it was over the attributes of God that we do not have as humans but that was about it. I can say, now after reading it, it is one of the most impactful books I have ever read when it comes to my faith. This book will help you have a better picture of God and why it is good that he is different than us. This is a great book for both men and women. Enhanced my view of God. I also bought the paper book so I can underline.. everything.